How would you like to create the best diet plan… for free? You know, the diet plan that will best allow you to lose fat, build muscle or just be healthy. The diet plan that will not only let you reach those goals quickly and effectively, but also in the most convenient, enjoyable and sustainable way possible. I’m talking about the diet plan that is tailored specifically to YOUR preferences, YOUR needs, YOUR body, YOUR schedule and YOUR lifestyle. The kind of diet plan that avoids every unproven gimmick, unnecessary restriction, and pointless diet method in favor of scientifically proven facts, real world results and always doing what’s best for YOU! Interested? Good, because I’m going to show you how to create that diet plan right now. Welcome to The Best Diet Plan! Diet Goals – What Is The Goal Of Your Diet Plan? How Many Calories Should I Eat Per Day To Lose Weight & Lose Fat? How Many Calories Do I Need To Eat Per Day To Build Muscle Or Gain Weight? How Many Calories Are Needed To Maintain My Current Weight? Daily Protein Intake – What Does Protein Do & Why Do You Need It? How Many Meals A Day – When & How Often Should You Eat? It’s for anyone who wants to create the diet plan that will work best for their exact goal and fit perfectly with their exact preferences (and do it all for free). Men, women, young, old, fat, skinny, beginners, advanced… whatever. 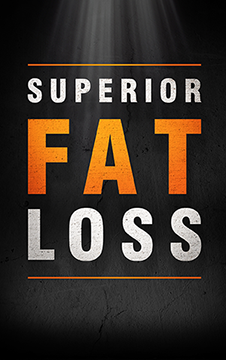 Looking to lose fat, build muscle, be healthy, make your diet easier and more enjoyable, improve the way your body looks, feels or performs in any capacity, or any combination thereof. Whoever you are and whatever your goal is… this guide is for you. What if I have questions, comments or feedback? If you have any questions or comments about anything in this guide or you just want to let me know what you thought of it, you can leave a comment right here.